I’m actually not good at finding places to eat particularly for breakfast or brunch, especially when we’re travelling. Cassie’s pretty good at coming up with something that I can get by with. 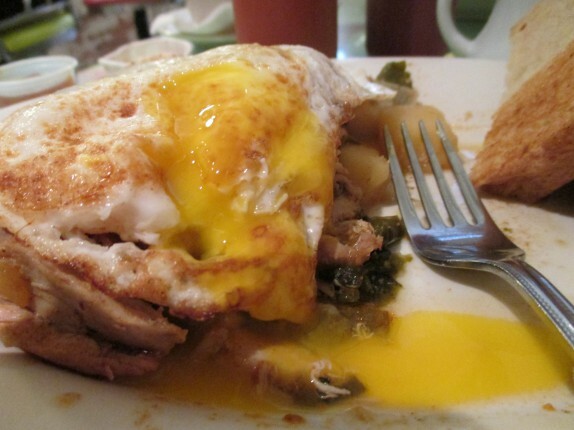 It’s pretty simple; find a place that has some eggs and maybe some hash, and I’m happy (if it’s good). 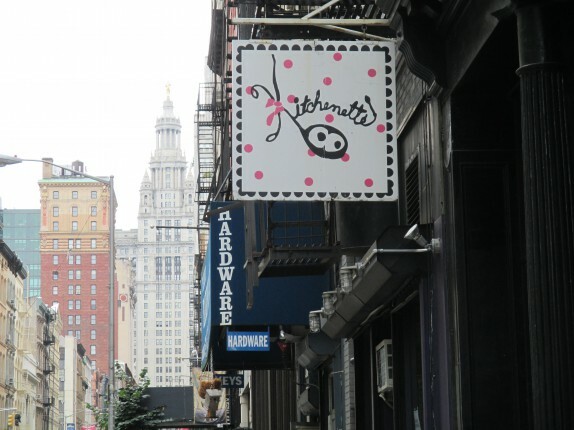 Kitchenette is located at 156 Chambers Street in Manhattan, a comfortable walk from our hotel during our trip to NYC. 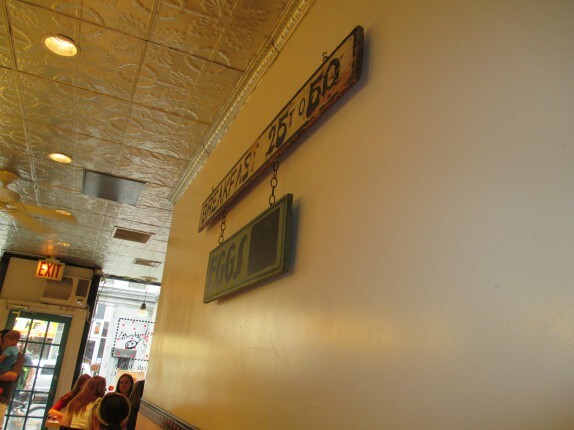 And it was a quaint little place that really takes you out of the hustle and bustle for a little while throughout your meal. Their coffee setup was pretty nice, so I figured an iced coffee would be nice (never mind that I had already drained the Conrad of their stock of Nespresso pods.). 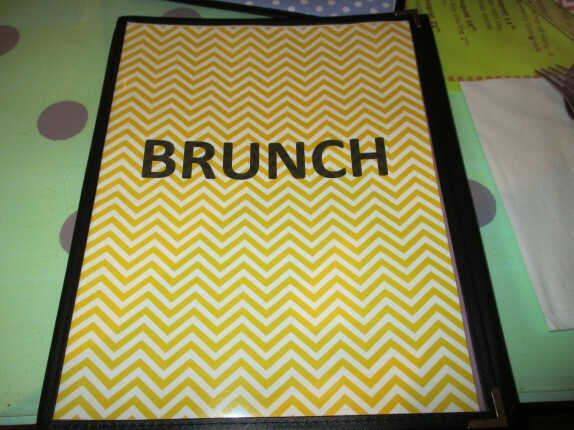 They have one hash on their menu, and it’s far from corned beef hash. 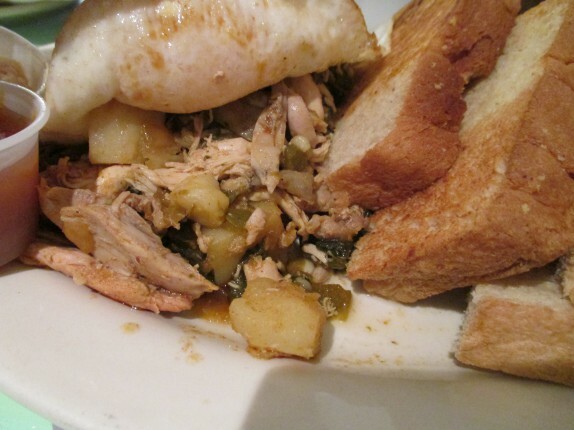 Theirs has pulled chicken, poblano peppers, Yukon gold and sweet potatoes, and corn and is served with two eggs and homemade white toast ($15). They have a strict “No poached eggs” policy, so I went for over easy. 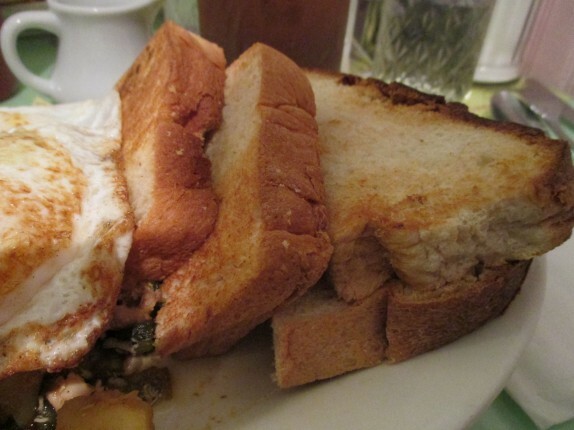 Getting the basics out of the way, the eggs were done right, and the toast was really good. 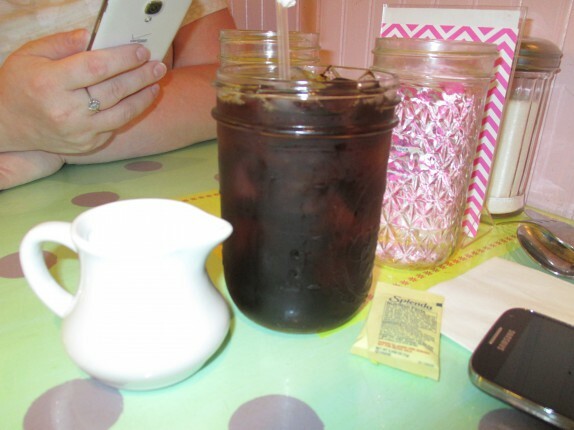 I enjoyed the whipped butter and homemade strawberry preserves served along side. The hash itself was actually really good. It was a little wet, and it was a lot less salty than your usual hash, but the poblano peppers really add some depth to the whole thing. I’m not a big peppers-in-hash guy, but I might steal this idea. They had some baked goods on the counter on the way out, and I totally wanted some coffee cake (which looked phenomenal), but I was pretty full. 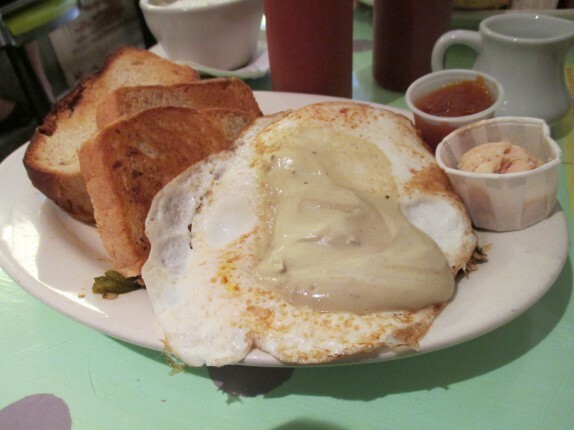 That plate looked great…love roasted green chili in anything…surprised at no poached eggs but cooked on a flat top is easier for the kitchen…based on this, I would eat there.